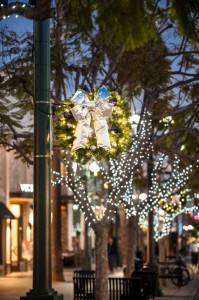 This year, Downtown Decorations worked with Downtown Santa Monica to create some holiday décor for the city’s Third Street Promenade. The Southern California coastal destination, which is located just minutes from the Pacific Ocean, is recognized as a premiere shopping and dining area. 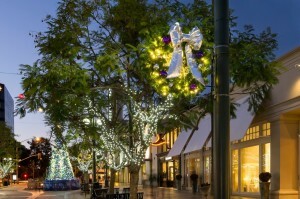 The promenade is also known for hosting the country’s largest and oldest certified organic farmers’ market twice a week and being a hot spot for many different types of street performers. 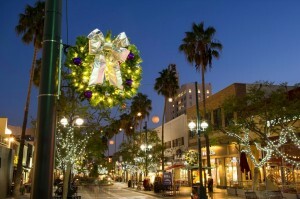 Downtown Santa Monica already had some decorations in place for the holidays, but contacted us because they wanted to add a certain flair to the promenade. 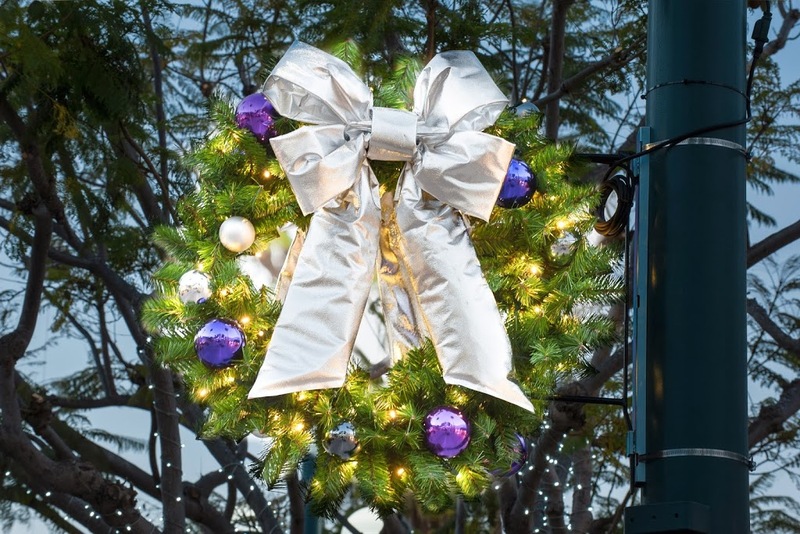 Our experienced designers came up with a fresh, fun and elegant pattern featuring silver and purple ornaments, lights and silver nylon bows. 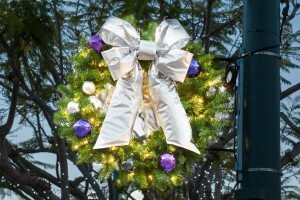 The design can be seen on 60 of our 36 inch wreaths that are placed up and down the promenade.